I have never been much of a historian, but I picked up “The Plot Against the President” at the library recently and I have really been enjoying it. According to the theories of Strauss and Howe, we are in a period that is very similar to the early stages of the Great Depression. This period, known as Fourth Turning (Crisis) is similar to the period starting in 1929. The book is about the early period of FDR’s presidency, including his campagning before getting into office. I have only finished the first half of the book which mainly covers up until FDR took office. I suppose my education in the 80’s was lacking because I had no idea that there was an assassination attempt on FDR right before he took office. The first half of the book covers this event in detail, including all the social chaos going on at the time. Clearly the period from 1929-1933 was one of the worst in American history. Herbert Hoover (portrayed here as a bitter and ineffectual man) was all chased out of office but there still seemed to be little hope for the country at the time. The Depression had hit hard and there seemed no end in sight. Roosevelt, to many observers, seemed to be just the wrong person to take the helm at the time. There was a huge division between rich and poor (the greatest disparity ever in American history up until just recently) and great distrust of the moneyed class. Roosevelt came from old money and was seen as somewhat of a dilettante at the time. The fact that he had been paralyzed by Polio made his election even more surprising. But FDR managed to prove all of his detrators wrong even before he took office. He took a two-week vacation at sea (on an expensive yacht owned by a friend) prior to his inauguration. When he landed in Miami, Florida there was a huge crowd assembled to see him. Denton tells the story of how Giuseppe Zangara took five shots at the President-elect but failed to even hit him. Six people around Roosevelt were struck and they were all rushed to the hospital. FDR held one of them, Anton Cermak (Mayor of Chicago) and kept him from going into shock as they sped to the hospital. Cermak died two weeks later but Roosevelt was held in high regard for how calm he remained after the attempt on his life. This event, at least as presented by Denton in the book, gave Roosevelt a boost in popularity as he took office. The interesting parallel to today’s crisis is that we too have been suffering the effects of a financial crisis that still seems to be hanging around. Although there are signs of improvements it is clear that a recurrence is entirely possible. And we are headed towards what may be a very contentious election that does not seem to offer any candidates with a clear ability to lead (in my opinion). Obama’s first term has not shown him to be a firebrand but rather a compromiser on many issues. Romney also does not appear to be the sort that would take on the status quo to really shake things up. It is certainly possible that another candidate will take the Republican nomination, but the interesting thing to me about the lead-up to the 1932 election is that Roosevelt and Hoover seemed to be a choice between the lesser of two evils too. Hoover had certainly been more than useless during the later part of his term and using Douglas MacArthur against the Bonus Army was the death blow to his chances at a second term. But Roosevelt certainly did not seem very Presidential at the time either. Many described him as a dabbler without much real knowledge of economics or larger political issues. But when the time came for him to take office (at the very pit of the Great Depression) he proved to be and incredible leader. The times, in some ways, defined his abilities. The same may be true for our next President, whoever that may be. We can certainly hope that whoever does take office can unify the nation during this portion of the crisis. The other striking thing about the history presented in the book is just how ready the US was for a leader that would dictate our direction. When FDR came into office there were journalists and pundits that called for him to be a dictator during our time of need. The country was willing to give up their liberty if it meant the possibility of turning around our economy. So in many ways the country was primed to take the direction of Roosevelt if he was strong in his convictions. It will be interesting to see whether the same is true in the upcoming election. Will the US be ready to have a leader that does whatever is needed to lift our country out of the recession fully? Only time will tell, but the parallels to our history 80 years ago are enormous. Interesting: Thats a clear picture. The 2012 election is critical for that matter. It will tell wheather or not we'll enter the next stage. Were dictators like Hitler come out in he world. The middle 2010's will be the regeneracy like the mid 1930's. Strauss and Howe predicted way back that a National Service program will occur for Millennials like the CCC corps for G.I.'s. As a 1979 cohort I'm a late-wave Xer but I also understand the Millennials traits really good making me a cusper. I wonder how cuspers will play in the crisis. Especially Xer/Millennial Cusps? G.I. 's admired Roosevelt their whole lives? I wonder how Obama would fare with Millennials ultimately? I don’t think Millennials will revere Obama as much as GIs did FDR. Obama is hasn’t come close to what FDR has done, however there’s still a possible second term. I still believe the Millennial’s FDR still has to show up. 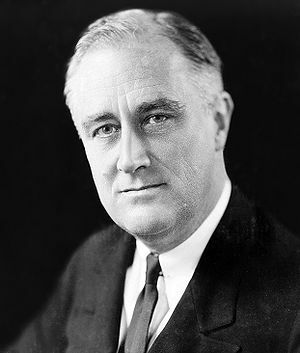 @Dyna – I agree that Obama does not appear to be the Mill’s FDR. Only time will tell who will fulfill that role. The next FDR is a Boomer on top of it. It’s the Boomers who play Grey Champion. In that case how will Obama be remembered. It’s not that all of a sudden Millennials tune out on him. The parallels you cite are real. Unfortunately, we have no leadership comparable to that time. We are in for a long depressed time. And this time, with a different world economy and a US unprepared to grow, we could end up worse in the long run. BTW you have a good-looking site here. Yeah, we may well be in for a long crisis. I have heard alternative theories on what is going on at this point. One take is that we already went through the crisis, failed to fix the root causes and will end up without another “High” part of the cycle because of it (much like happened after the Civil War). I remain an optimist and believe that although the worst is yet to come, we will be up to the task of dealing with it. Only time will tell. Of course the really great thing about these theories is that they allow one to take a longer view of the current situation. Whether you are optimistic or pessimistic about our near-term prospects, using the generational theory gives a framework for understanding of long-term trends. One root cause is the political gridlock by Boomers. So there goes the Grey Champion. Also Millennials act very entitled and there mobilizing is still very shallow for a crisis like WWII. Next Next post: Was 2012 The Start of Something New?